Cliff-decked golden coastlines and inner-country cities that call to your heart’s delight, Portugal is a country for all. Having spread its exotic influences around the world, the country is home to 10 million residents, and welcomes visitors with open arms. Attractions include Belem Tower in Lisbon, Pena Palace in Sintra and Ponte de Dom Luis I in Porto. Get ready for a trip to this intriguing destination, because cheap flights to Portugal are now available for a limited period of time. Portugal’s capital city, Lisbon, is home to Lisbon Portela Airport (LIS), located just 15 minutes from the city centre. 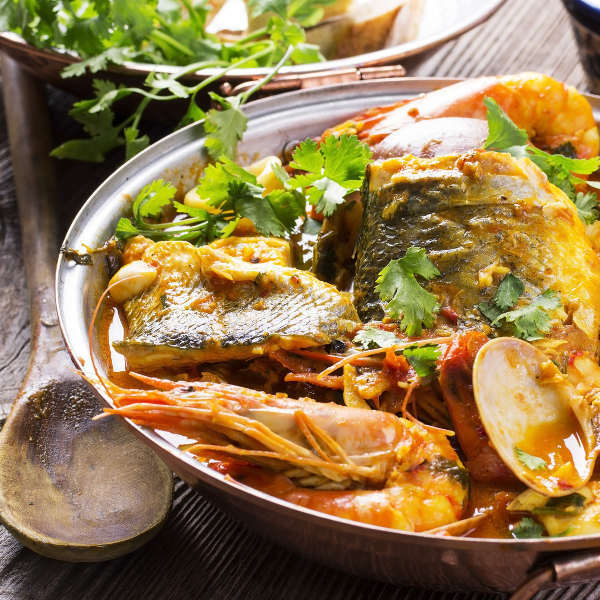 The Portuguese are famous for their unique combinations of flavours that bring about the most enticing dishes and leave you wanting more. Oh, and their wine is some of the best in the world. The beaches off the coasts of Algarve and Faro inspire dreams with golden cliffs towering above the topaz waters below. Visit Falesia Beach and Praia de Marinha for pure beauty, and sultry dips in the ocean. 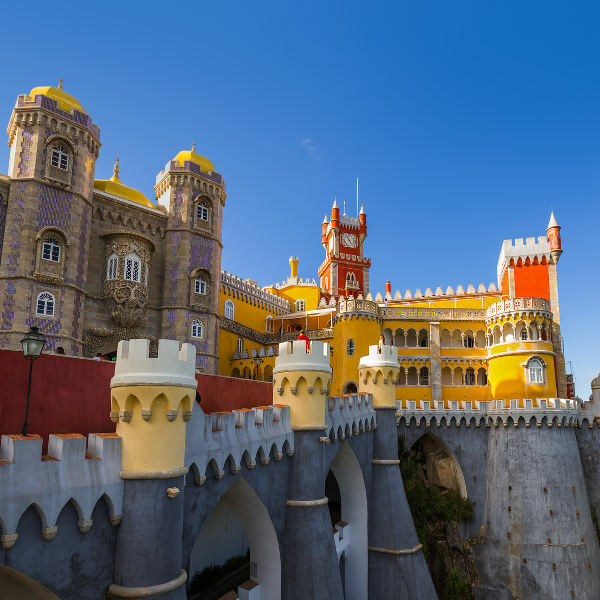 Find yourself falling in love with castles and palaces as you imagine life as it once was in the hill-top town of Sintra, home of Pena Palace, Quinta da Regaleira and Castle of the Moors. For the best time to visit Portugal, consider visiting between spring (March to May) or autumn (September to November). Spring is the time for the beautiful gardens across the various cities to start blossoming and enticing visitors with their sweet smells. There is also a spring flower market in Madeira. Summers in Portugal are known to get really hot, but less so along the coasts. As the country is a hub for tourists from all across the world, visiting in peak season (June to August) is not the best idea as it is overcrowded and accommodation gets very pricey. For those looking to do some hiking, the most ideal time is over winter as the crisp air is perfect for a refreshing mountain trek. Don’t worry, there’s more than enough sunshine to defrost your bones with averages around 15°C. There’s so much to see and do in this beautiful country, it’s no wonder that it makes the top of the list for places to travel to each year. The capital city of Lisbon is known for its stunning architecture and built masterpieces such as the Belem Tower and São Jorge Castle, attracting thousands of visitors a year. The laid-back city of Porto invites you to drink wine, eat and be merry with the locals. It’s located on the Douro River and has a rich vegetation, adding to the fresh produce that can be found in local markets daily. It’s also the food capital of the country with many authentic, family-run taverns. Speaking of food, how can we not mention the wonderful flavours of Portugal that have travelled the world with their exotic aromas? Peri-peri, saffron and cinnamon have been made famous in Portuguese cooking, and only in the homeland’s cities will you experience its best uses. Try some local favorites like tasty caldo verde soup, a meaty plate of feijoada and of course, some bacalhau. The coastal city of Algarve is stunning with rocky, cliff formations and turquoise waters, dating back centuries. While you’re on the coast, don’t forget to visit the island of Madeira and try its wine of the same name. The island is also famous for its meandering mountain trails that attract hikers from across the globe. Compare several airlines, and book your cheap flights to Portugal online with Travelstart. The vast majority of cities and towns in Portugal are safe for visitors to travel through. However, as the big cities such as Lisbon, Sintra and Cascais are often crowded, it is easy for pick-pockets to target tourists. Keep all important documents in the safe of your hotel and don’t walk around with your most expensive belongings. Stick to the populated and well-known areas of a city and avoid travelling alone in the evenings. If you’re going to Madeira to do some hiking (amongst many of its other beautiful attractions), it is really important to be aware of your fitness levels as some of the trails are quite strenuous. It is also recommended to go with a guide. It is always important to have your vaccines up to date when you are travelling. When visiting Madeira, it is suggested to get a vaccination for hepatitis A, hepatitis B, and rabies. These shots will protect you from unfamiliar food, contaminated water, animal bites and various other bacteria found in the soil. Please consult your doctor about these shots before your trip.